Bump, bump, bump. Our shiny, silver, Nissan Xtrail steadily progressed down the narrow, unkept, dirt road seeming strikingly out of place in the rural community. To my right was a small, open grass field with young children hanging from the remains of an old bus. To my left, sat an even smaller line of street stands selling a few basic necessities. Out the front window, was a semicircle of one-room, one-story homes that resembled the pictures of early houses I had seen in my history books. We had arrived. My four friends and I were greeted by a petite woman wearing a purple print dress, with her daughter shying away by her side. We were welcomed into their home. One twin bed mattress on the floor. A child’s size lap desk. Walls decorated by the young girl’s Sharpie artworks. A small gas stove. And a pint-size bathroom in the back corner. In the ten by ten foot home, these were the things that first caught my eye. The young girl’s name was Annisa, and we had come to discuss the importance of her school. “Aku mau menjadi dokter.” I want to become a doctor, the young girl proclaimed without a hint of fear or hesitation. I smiled, because I knew that this girl was a powerhouse. Annisa’s mother began to give her testimony regarding the power of her daughter’s education within her family that under normal circumstances, wouldn’t be able to fund it. She contended that in result of Annisa attending school, her daughter had become more confident, self assured, and ready to chase her dreams. Her pint-sized daughter was excelling in English, Arabic, math, reading, writing, art, as well as effective social skills. Every word she softly spoke, left me feeling proud, inspired, and wanting to make a difference. What started as a YES Abroad project, quickly turned into much more than that. Annisa’s school is a fully funded kindergarten created by the Komunitas Menara organization, or KM for short. KM was founded by one of Indonesia’s most prominent authors, Ahmad Fuadi. With the only goal of giving Indonesia’s impoverished children the opportunity to obtain a quality early childhood education, Fuadi built his first three KM schools. There are currently 30 million children in Indonesia aged 0-6, and less than half of these children have access to kindergartens. Let that sink in for a moment. That’s twenty times the population of my entire home state of Montana! 20 million children will never enter a school. 20 million children will never have the groundwork needed to establish a love of learning. 20 million children will never learn how to read, write, or obtain basic skills in math and science. 20 million children in the country that I now call home. Indonesia has been nothing but welcoming and kind towards me. After being welcomed into the homes of strangers, offered free angkot rides, and given guidance as I attempt navigating this big city, I feel compelled to give back. I can donate my time, but Komunitas Menara needs so much more than that. With the ultimate goal of building 1,000 kindergartens, KM needs the financial support from you all. Nelson Mandela said it best when he said, “Education is the most powerful weapon which you can use to change the world.” We are not only investing in the future of Indonesia’s children. We are investing in the future of our world. As technology advances, and travel becomes more attainable, many are realizing that our family is not limited to our own state or our own country. Our family is expanding far beyond country borders, and we are flourishing as an international community. 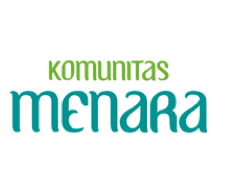 Komunitas Menara can create an entire generation of doctors, engineers, writers, artists, researchers, and teachers. We can, and we will. It’s only a matter of time. Man jadda wajada.